A year ago LinkedIn provided the ability for members to publish content directly on the site. The idea was that LinkedIn members could write articles or blog posts and have them distributed on the LinkedIn network. Sounds a great idea. Indeed, LinkedIn themselves are very proud of their little invention. Last week they announced that they had reached the grand total of 1m posts being added in the first year. But, as recent statistics show, there are 1.5m blog posts added to WordPress.com every DAY….! In other words, WordPress achieves in 16 hours, what LinkedIn has taken a year to do. That is not very impressive. But are we missing a trick? With few people posting on LinkedIn, your visibility becomes much greater. On WordPress you are one of millions, on LinkedIn you become one of thousands. However, there is another issue with this increased visibility – it is to fewer people. WordPress reaches several billion people, whereas LinkedIn only gets to 330m individuals. 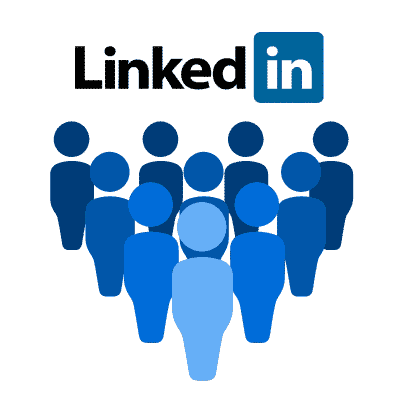 So, posting content on LinkedIn gives you greater visibility to a smaller number of people. Of course, if they are the “right” people, so much the better. What the LinkedIn blog posting idea really shows is another example of a social network adding features “because they can”. You can blog on LinkedIn, you can start discussions, you can connect with people and you can chat to them. Hang on a minute….you can blog on Facebook start discussions, connect with people and chat to them. Wait……! On WordPress you can blog, start discussions, connect with people, chat with them…….you get the picture. Adding posts to LinkedIn may well work for many businesses if your audience is active on LinkedIn. Equally, posting content on Facebook works for many businesses, but only if their audience is on Facebook a lot. Posting items on LinkedIn is only relevant if your audience is there. If not, forget it. The fact that most people appear to be forgetting it is revealing too. It shows that most people perceive LinkedIn as something different – a place to make direct connections, perhaps. And if you are making direct connections do you really need all that “content” on LinkedIn? It will be interesting to see the take-up of blogging on LinkedIn this year, as they open it up to more languages. But if you are already adding content to your own website on a regular basis you are probably better off doing that and adding links to that in your LinkedIn activity stream. Besides which, the content is seen as your brand, not as part of LinkedIn. By adding content to LinkedIn, you have to consider whether people will perceive that content as yours or as part of what LinkedIn offers. There is a chance they will see it as LinkedIn’s – not yours. So you have to question what LinkedIn content does for your brand. Perhaps that’s why so many people are retaining their brand image by blogging with WordPress rather than using LinkedIn…?